Stan Lee was a rock star in a superhero universe. He was the Lennon to Jack Kirby’s McCartney over at Marvel. At the same time, he was the Jagger to Steve Ditko’s Richards… also at Marvel. In fact, he was one of the greatest collaborators in pop culture history. Stan wrote the ‘lyrics’ while the visual artistic symphonies were created by Kirby, Ditko, John Romita Sr., and others. Stan assumed the role of frontman for the Marvel operation and became the most well-known comic book creator the world has ever known. We shall not see the like of him again. 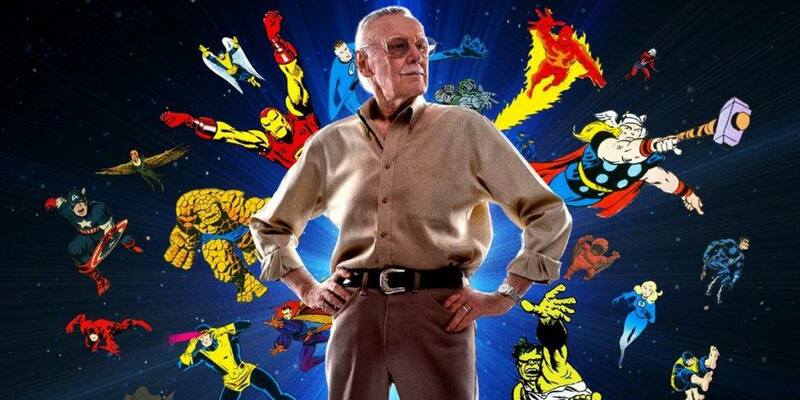 Without Stan Lee’s imagination, there would be no Marvel Universe. EVERY Marvel movie you’ve seen would not have existed had it not been Stan Lee. And it pretty much began with the Fantastic Four in 1961. FF were not the first superheroes – Superman kickstarted the popularity of the genre – but the first issue of FF was a ‘make or break’ move for Stan. Threatened with low sales in comics and the possibility of having to choose a different career, Stan decided to do what he wanted for one of his last comic book assignments. He wanted to create a superhero team that would rival the Justice League and he created Fantastic Four with artist Jack Kirby. It was a huge success and he never looked back. Then came all the others: Avengers, X-Men, the Hulk, Spider-Man, Iron Man, Black Panther, etc. His imagination knew no limits. His comic stories addressed so many subjects that were folded into action adventures. From racism to drug abuse, he tackled it all. Not all of his heroes were white males – he gave a voice to all races and sexes. He reminded us that it was who we are inside that made us heroes, not what we looked like. However, it didn’t hurt if you had a really awesome outfit, too. Stan created superheroes that would rise up against evil but still had to do their laundry when they got home. Very few of his characters were flawless and that is what made them so relatable to the readers. Stan’s creations dealt with an imperfect world but they would never turn their back on it. Those heroes existed only because hope existed… and if there was hope, there was a reason to fight for what you believed in. While he hasn’t written for Marvel in decades, we are inspired by Stan’s spirit – stand up for what you believe in, stand up for hope, stand up for change, and believe that good will trump evil. Comic books were not cartoons. Comic books were lessons in discovering the power that made you stronger and the ways that you could make a change in this world. As Stan once wrote, “With great power comes great responsibility.” ‘Nuff said! Goodnight, Stan. Thank you for your dreams.